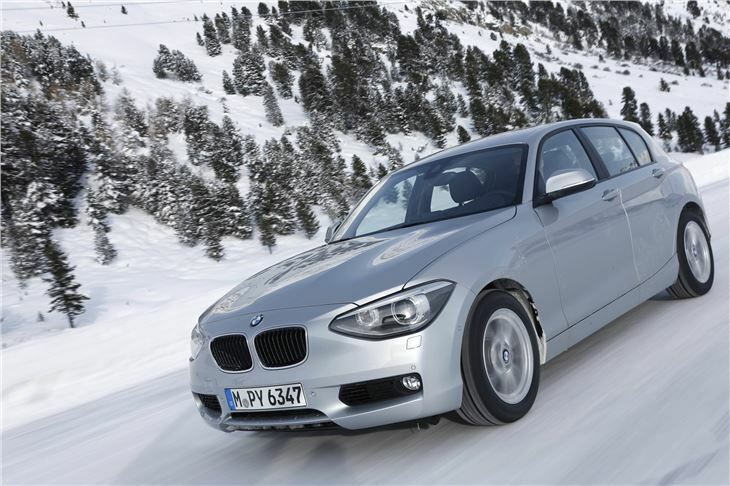 The BMW 120d xDrive isn’t a one off. 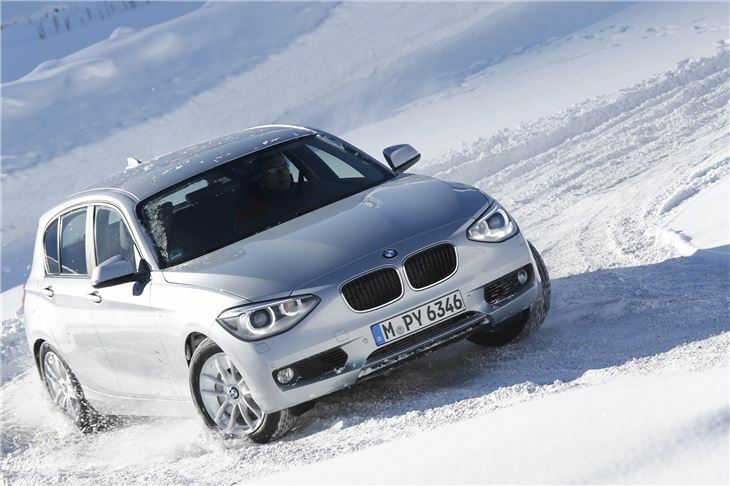 A third of all BMWs produced are actually four-wheel drive. 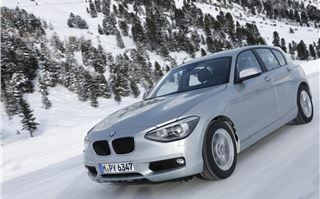 In 2012 alone, BMW sold 370,000 xDrives. Not many people knew that, including me. There are, of course, the usual suspects the names of which begin with X. That’s X1, X3, X5 and X6. 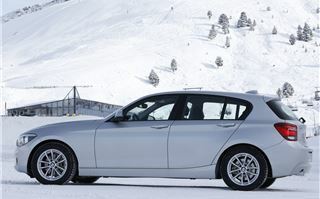 As well as those, from October 2012 in the UK you have been able to buy RHD BMW 320i xDrive saloons and station wagons. 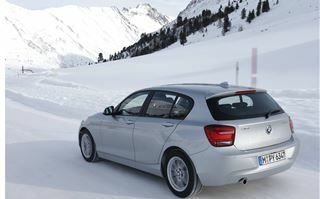 From March 2013 you’ll also be able to buy a four wheel drive 120d xDrive in the UK, the subject of this test. 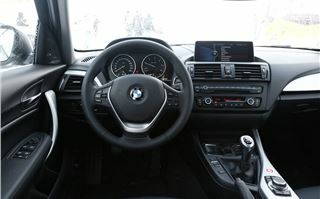 And in other markets virtually every model in the BMW range is available with the xDrive four-wheel drive system, including the 7-Series and 5-Series. Demand is huge in countries like Canada, the USA, Russia and China, as well as Germany, Austria and Switzerland. 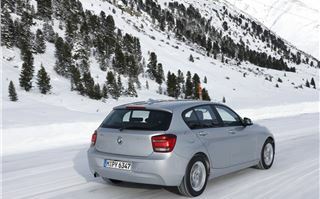 And if the UK 2012/13 winter proves to be as cold as predicted, there is no reason why a wider range of four-wheel drive BMW xDrives should not be coming to the UK. 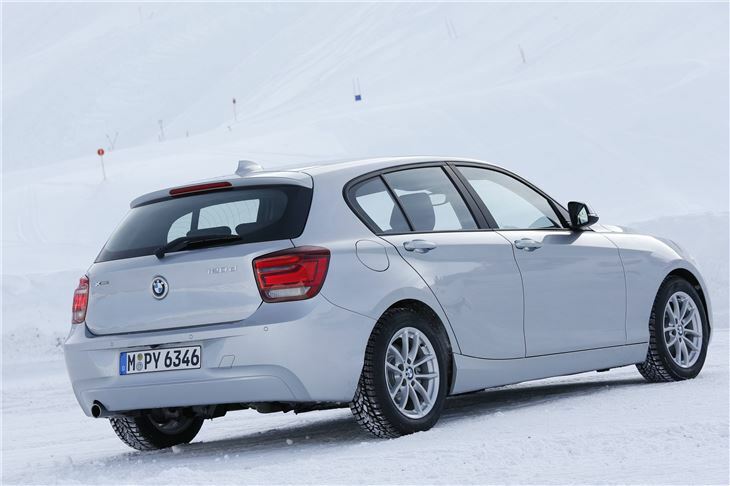 Over the last couple of days we drove a BMW 750d xDrive, a MINI Countryman JCW All4, an M135i xDrive an X6 3.0d xDrive and the 120d xDrive. 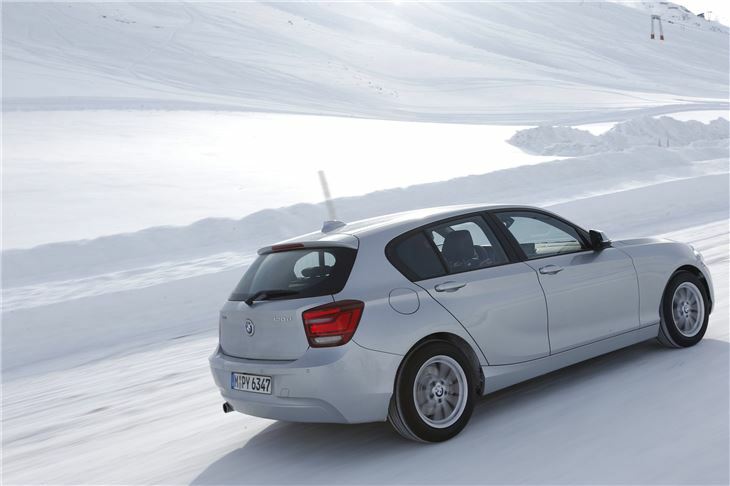 According to conditions, the xDrive multiplate wet centre clutch delivers up to 100% of drive to one axle, predominantly the rear, and when conditions demand, to all wheels in a 40/60 ratio. There is no delay, as in some hydraulic AWD systems. 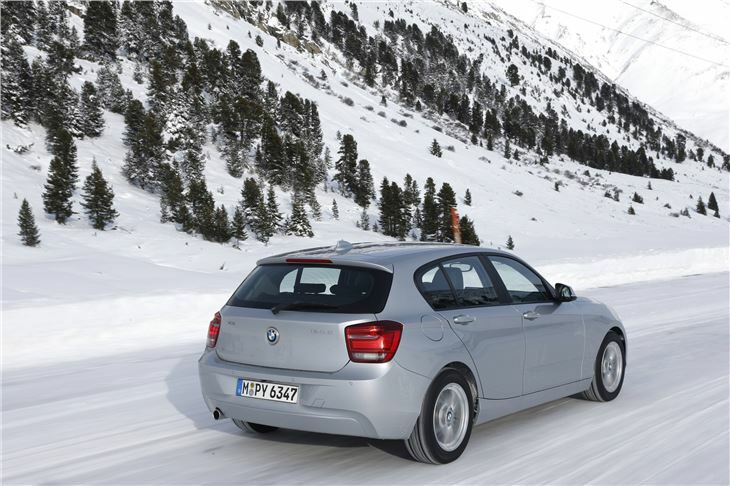 On a car the size of the 1 Series and 3 Series, xDrive adds around £1,500 to the price. So is it worth it? 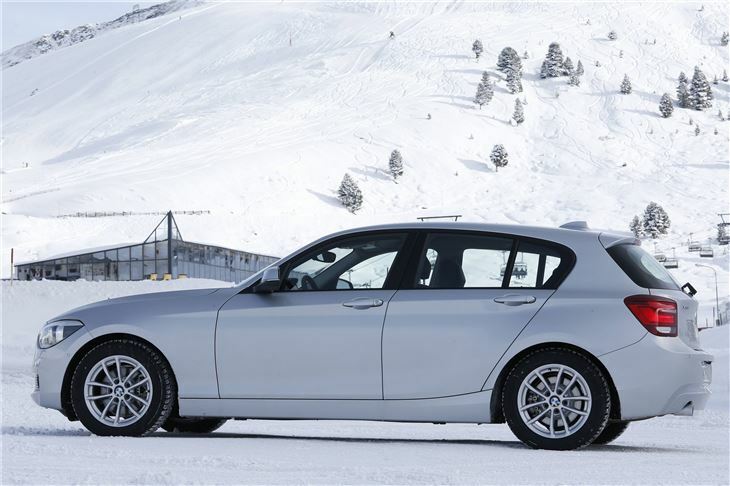 To really justify that extra £1,500, the 120d would have to be as better to drive generally as an Audi quattro is compared to a front-drive Audi. And in that respect it doesn’t disappoint. There are three stages of DSC. The standard, ‘Comfort’ level gives the most amount of assistance to a driver who gets into trouble. The second stage gives less assistance and more traction with more bias to the rear wheels. The third switches off DSC entirely. We tried them all on damp roads, roads with surfaces alternating between dry, powdery slush and hard packed snow, and on both hard packed and deeply rutted snow. All at temperatures of between minus 4C and minus 20C. And all on Dunlop 205/55 R16 cold weather tyres. Obviously the responsible recommendation to the average driver has to be to leave it in standard ‘Comfort’ DSC, except when you need extra traction to get up an icy hill. But I found that in the mid setting on cold, wet surfaces, you could tighten the car’s line round a bend by accelerating into the apex, a bit like an Audi S3. 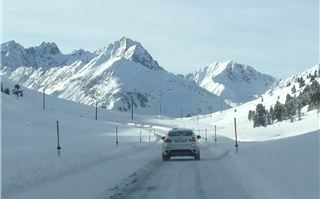 Only if you entered a series of loose snow-covered bends a bit too quickly it could get slightly out of line and, though easily controlled, the danger of this is you could meet something. With DSC off entirely you can perform doughnuts in the snow to your heart’s content (or at least until someone reports you to the police). 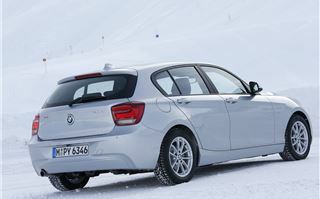 The rest of the 1 Series virtues are described in my test and video of the 125d. In answer to the question, would I spend the extra £1,500 to get the X-Drive, it’s yes. 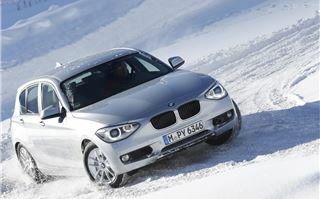 As well as the advantages in bad weather it gives the 1 Series a sportier as well as a safer drive. 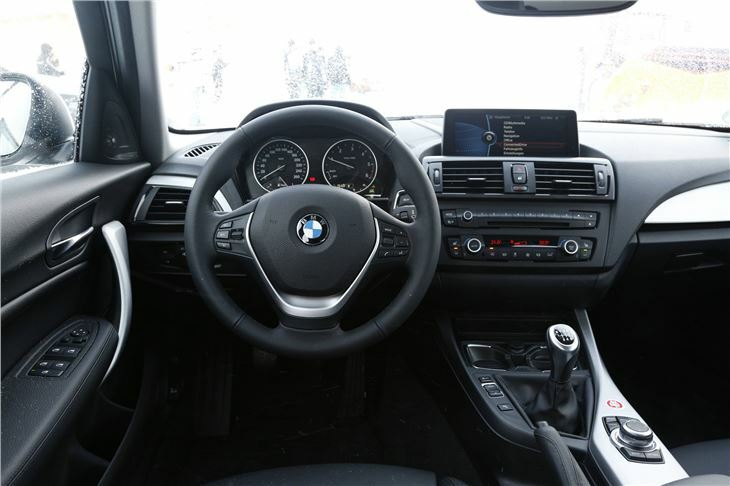 And as a sporty drive, we preferred it to the M135i xDrive because the 380Nm torque from 1,750rpm to 2,750rmp is more usable than the M135i’ xDrive’s high revving power. 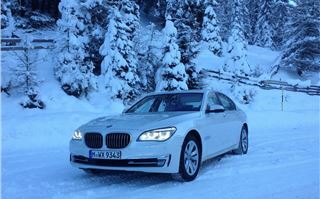 The 750d xDrive is a completely different kind of car. 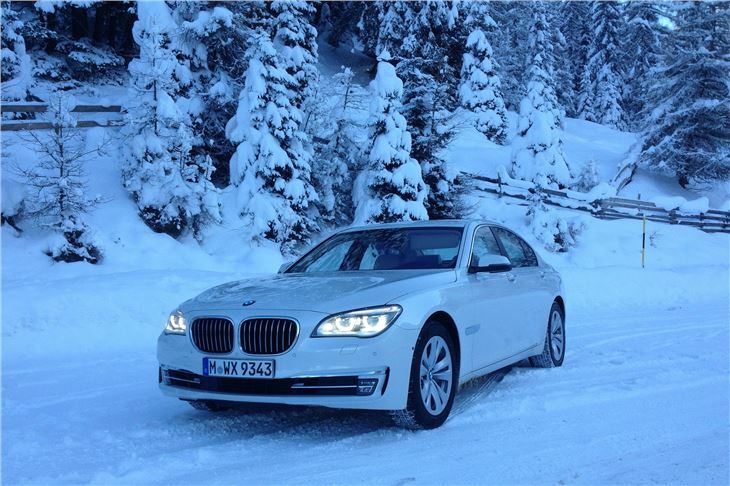 This is a very quick, reasonably economical limo with the benefit of four wheel drive for countries that see a lot of snow. The MINI Countryman JCW xDrive was nimble and worked well on 195/60 R16s cold weather tyres. 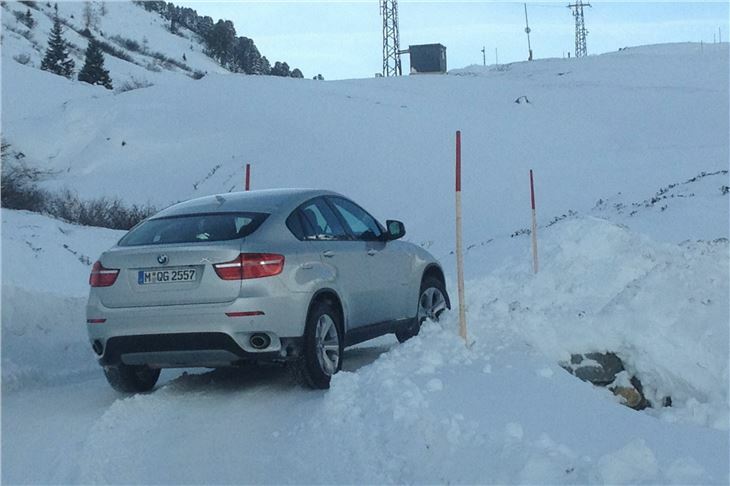 And, of course, the X6 xDrive is already well known. Very popular indeed in Russia and Eastern Europe. 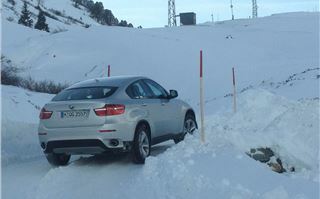 Very capable (even though I did mange to slide off the track into a snowdrift). It’s BMW’s Range Rover Sport with a slightly different message. That clumsy slip-up was a useful reminder that, however capable the car, on hard packed frozen snow, just a alight adverse camber on a bend can be enough to tip you into a snowdrift.